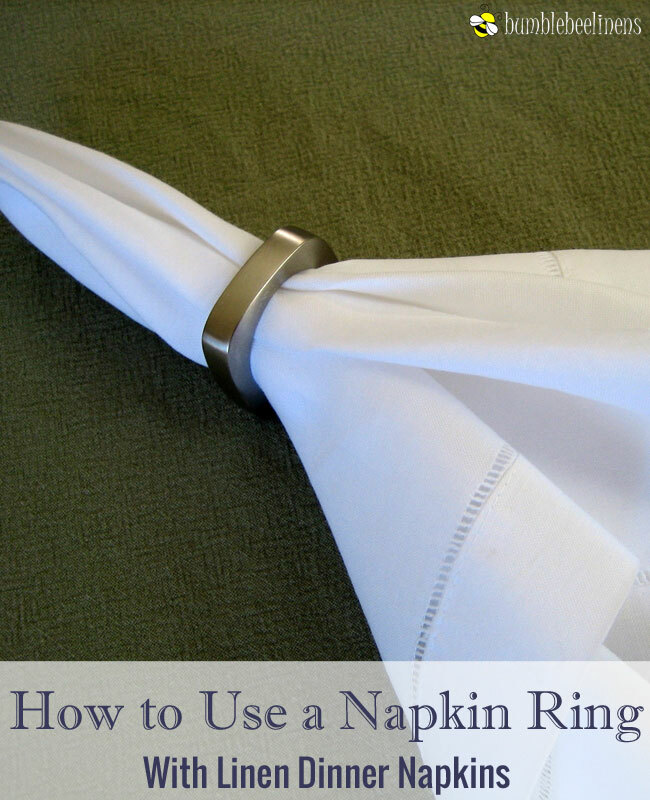 There is no quicker and easier way to present your napkin than with a traditional napkin ring. 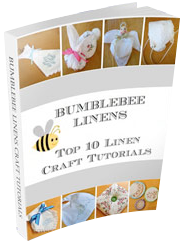 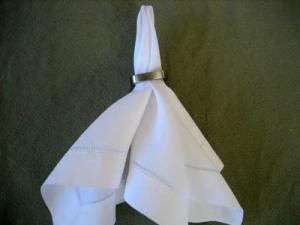 Accessorizing your napkin takes just seconds and makes for an elegant dining experience. 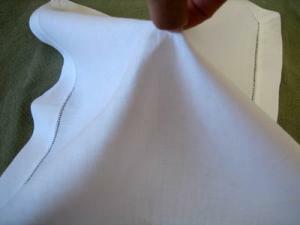 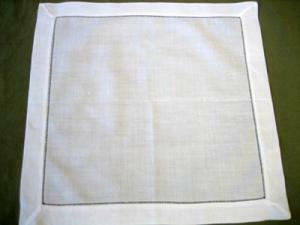 Many of our cotton and linen dinner napkins will benefit from the use of a napkin ring. 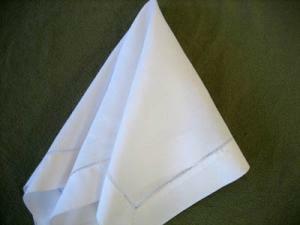 Pick the napkin up from the very center.